This three movement work is intended to be a fun introduction to basic “special effects” for young trombonists. 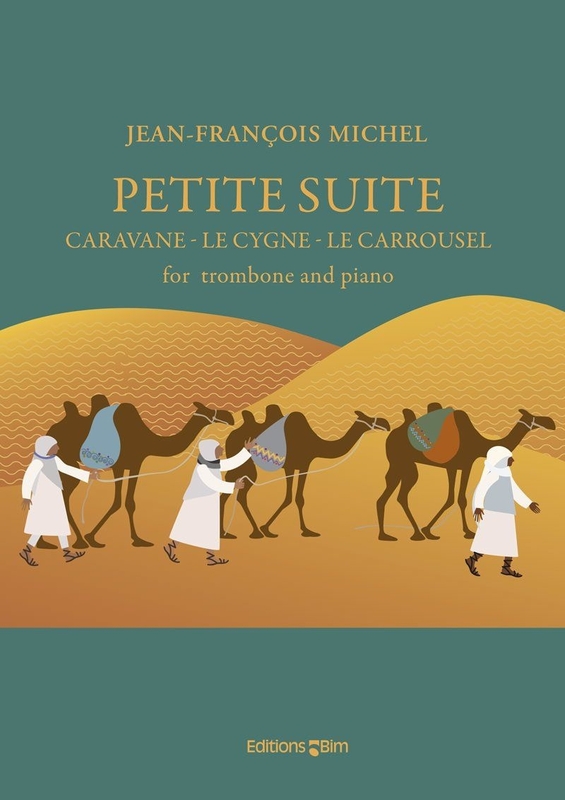 The movement titles, “Caravane,” “Le Cygne,” and “Carrousel,” provide some extra-musical inspiration and aspects of the piano accompaniment add to these moods. For example, the outer movements feature cliché ostinati gestures, which help express the styles effectively. The first movement utilizes glissandi and mutes, as well as air blown through the instrument. The second movement is a gentle, lyrical song, again making use of mutes. The third movement begins as a simple yet appealing waltz, utilizes a short few measures of flutter tongue, and finishes with a lively Presto finale. Petite Suite is useful for players at a junior high school level and above. Ranging from c to f1 and devoid of overly technical passages, it is quite approachable for young players. Despite the use of clichés, the piece is enjoyable and charming.